Two weeks ago I attended Ad Astra 2016 – my first science fiction, fantasy and horror convention in Toronto. I liked it. Made new friends, learned new things. 1. 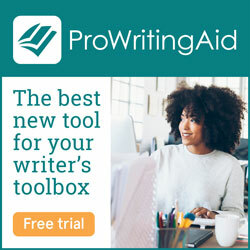 We need more tools for writers. Most people deciding to become writers and moving towards the professional status of author do their homework. They read dedicated books, attend courses/classes, belong to a writer’s club or group and have fans/beta readers. Their tools are notebooks and excel docs and online or offline pieces of software. And they definitely need more than just a solid, forced framework. They need tools to manage their projects and motivate them to finish on time. An enhanced digital experience beyond just texting is also a prerequisite. This is why we created Asengana – launching it in the second half of 2016 – because we wanted to offer all these things and more. 2. Being a writer means hard work, sacrifice and making barely enough to survive after publishing. Really, WTF? On one of the panels three writers presented, in an honest manner, the sacrifices they had to make in order to be able to write. Although I admired them for their strength and perseverance, I could not help thinking that there was too much resignation for my taste. There have to be more ways to support writers than award them prizes for published books that are already best sellers and making money (a lot of money) for publishing houses. If we have the opportunity to make it easier for a writer to write the next book and to restructure the publishing process, we should take it. And why not, we’ll have an Asengana Award for this. 3. There is a need for disruption in every industry. Every human activity needs an Uber. While I was listening to Tom Doherty (founder of Tor Books) talking about the increasing difficulty to position the printed book in places where people are actually spending their time and adjust to the buying habits of different regions, I was analyzing the revenue of the most important 4-5 big publishers, which is more than a billion dollars each. Even with Amazon selling a large number of indie/self-published writers, still, there is a lot of money in this industry that do not trickle down. An entire publishing machine positioned between the writer and the reader meant to absorb most of the price the reader pays for a book. This situation needs to change. There is room for an innovative marketplace that will move beyond publishing houses and Amazon. We need to undergo the metamorphosis of a new type of relationship between the people in the publishing industry. And we have the technology and the team to make it real in the following 3-4 years. The future of writing will be shaped differently with Asengana in it.